Finally, the new Fine Art Calendar 2019 is ready for ordering. After a two-year break, I have created again a Fine Art Calendar with my latest paintings. This time I used different paintings from the Series Horizon (as announced in my post about Sea Yearning). 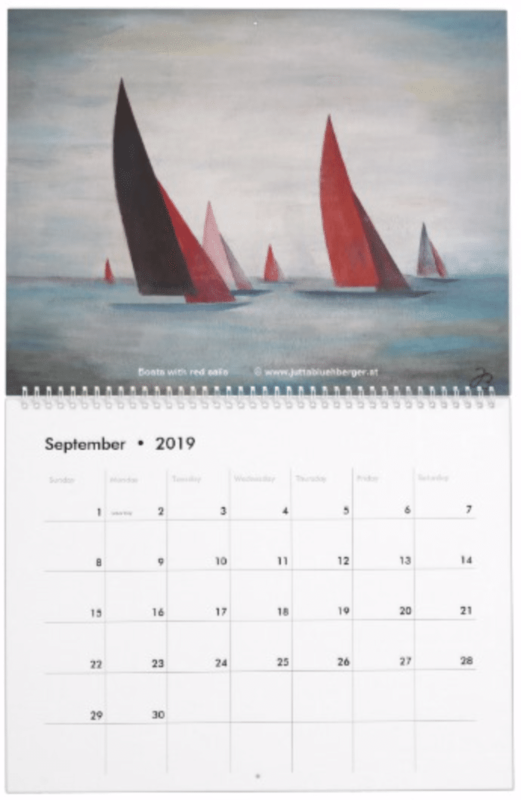 The Fine Art Calendar 2019 is very similar to the German version but produced by Zazzle.com where you can order it online and have it shipped more easily to an American address. (But if necessary, you can have it shipped to anywhere in the world.) In addition, you can profit from different promotions and bulk rates on Zazzle.com. I have selected the following paintings for the twelve months of 2019. The layout of the calendar includes room for notes in the lower half and the image in the top half of the opened calendar. Zazzle allows you to adapt the calendar design to your desire and needs. You can choose between three different sizes of the calendar. 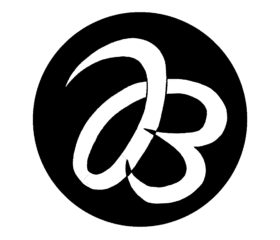 You can choose between the two-page layout (with wire binding in between) and the one-page layout (where everything is on one page and nothing on the back). You can change the calendar to be in a different language or show holidays of another country. Presently they are set to US English and US Holidays. You can choose a different style of the grid for the calendar. There are several to choose from. You can even change the color of the wire binding. The default is white. Have fun playing around! 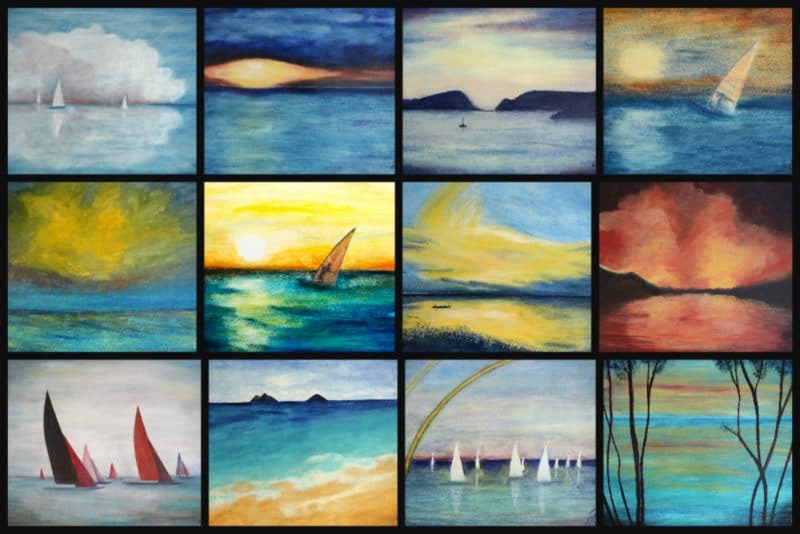 All calendar versions come with my beautiful paintings to bring a Splash of Color to your home or office. The link below will guide to directly to the version with US English and US holidays. P.S. If you are in the US but prefer to have the calendar in German, you can go directly to this product. Just make sure to choose the right holidays for your needs.